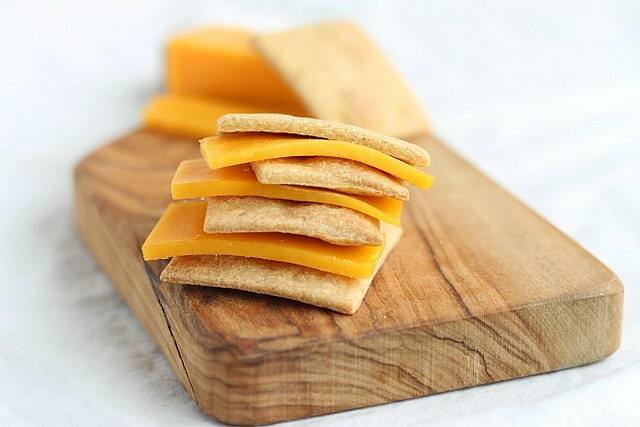 Crispy, crunchy, easy to make sugar-free crackers that you can customize to fit your allergies, dietary needs, and taste! This is a play on a recipe I already have on the blog, but I really wanted to give it a bit more attention! 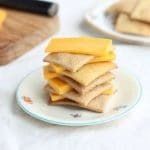 My kids love crackers, and with the school year upon us, I thought giving more insight into a recipe this easy and this versatile might be helpful. The main entree – Usually leftovers from a previous night consisting of a protein and starch (i.e. Chicken and Rice, Chili, etc.). Fruits and/or veggies – Carrot sticks, cucumber slices, celery, apple chunks, pear, grapes, and berries are all well-tolerated. A sweet treat – See Friday’s post for some favorites! Something crunchy – Chips, crackers, pretzels are all welcome and expected, lol. My kids often come home with some leftover food, but I never want them to be hungry, so I kind of overdo it! While I often buy the chips, crackers, and pretzels, sometimes I get highly annoyed at paying four dollars for four ounces of ‘clean’ crackers! Don’t even get me started on trying to buy them gluten-free…highway robbery. The price, along with long lists of sometimes questionable ingredients, are the main reasons I’ve begun making my own crackers, and the kids love them! There are myriad combinations, and they all work! The biggest difference I’ve noticed is that some flours need a bit more water, buckwheat in particular. I usually add about 1/8 – 1/4 teaspoon of one of the above. If using seeds, I sprinkle them on top of the dough after rolling it out and before baking. 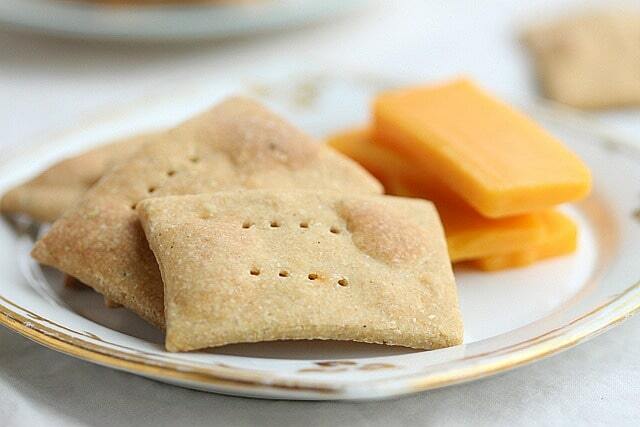 Allergy-friendly crackers that are easy to make and far more economical than store-bought. Mix the flour with the salt and any seasonings you're using. Stir in the oil until mixture looks a bit 'pebbly' in texture. Stir in the water until the dough is moistened and begins to form a ball. It should not be sticky to the touch. If it becomes sticky, knead in a bit more flour. Place the dough ball between a sheet of parchment paper and a sheet of wax paper. Roll out the dough to about 1/8 inch in thickness, with the wax paper on top and the parchment on bottom. Peel away the wax paper and transfer the parchment (with the cracker dough still on top) to a baking sheet (rimless, if possible) or pizza stone. 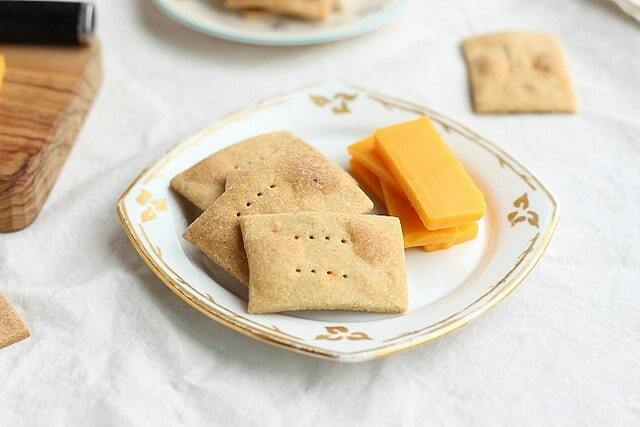 Use a pizza cutter to create your desired cracker shapes and use your fork to poke a couple of holes, if desired. If using seeds, sprinkle them on top and lightly push them into the dough with the rolling pin. Bake the crackers for 16-25 minutes until golden (see Notes). Cool, break apart, and enjoy! Bake time can vary from flour to flour, hence the range. Check them at around 16 minutes and begin plating the outermost crackers (which are the ones that will bake/brown fastest). Then, replace the pan to let the others bake until golden and crispy (another 5-10 minutes). I find that using a rimless baking sheet or pizza stone works best for baking! My daughter has FPIES, which is a type of allergy, where she only can eat a handful of foods. We made th crackers with oat flour and instead of oil, we used cooked butternut squash. I only needed 3 tbsp of water and with that, I needed to knead in a bit extra flour. They turned out good, of course she loved them to be able to eat something different. 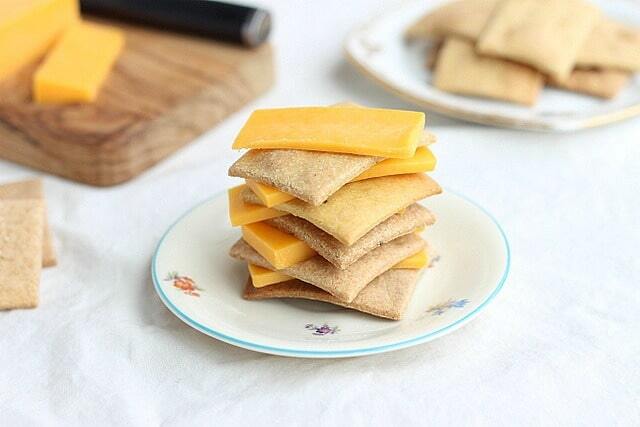 These crackers are fantastic! I made them with half brown rice and half chickpea flour, plus a little curry powder. Delicious! I did prefer them the first time I made them, when I didn’t roll them as thin – they have to bake longer, but I had less issues with them burning. I also just liked the thicker crackers better. I think they were around 1/3″. 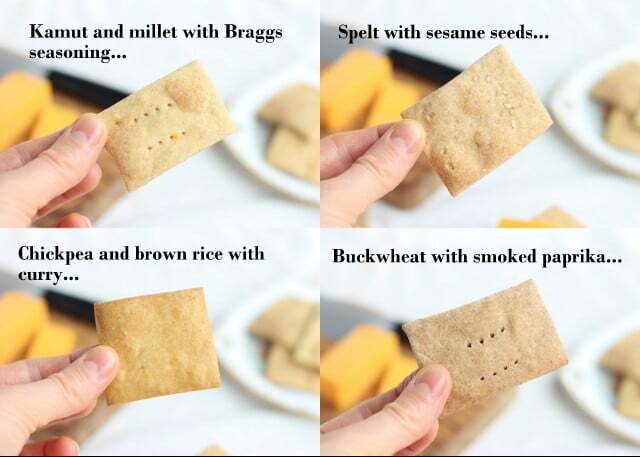 I have tried other cracker recipes, and these are by far the best! Thanks so much, Charla! I usually have dough that’s thinner on the edges than in the center, so I’m constantly taking out the pan to remove the thinner ones, lol. Kind of a pain, but worth it since my kids love crackers and the store ones are just so full of crap! These crackers are awesome!!! I used chickpea flour and brown rice flour. They taste like pita chips!! 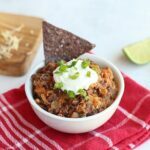 I have a story like yours with allergies stemming from immune issues and am gluten, dairy, sugar, nut-free – so I am beyond thrilled to have found your blog. Can’t wait to try more recipies!!! Hi Lauren, I wanted to make your crackers but with no oil. Have you ever tried that before? Thanks in advance for your answer. I haven’t tried that, so I’m not sure, sorry! This easy recipe is definitely on my to do list. One question though, a serving is ONE cracker, am I right? Just to be sure so that I don’t mindlessly go wild on these lol. What is it about kids and crackers?! They HAVE to have them…or anarchy. Ha! I better be putting these in their lunch boxes in a few weeks because I know they will love them. Thanks girl!! 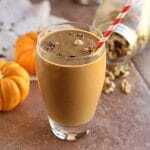 Do you have a recipe using oat flour. I have a lot of allergies and sensitivity. 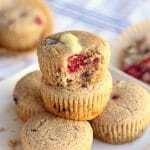 Though I haven’t tried it, I think oat flour would work with these. I cannot wait to try these, Lauren! 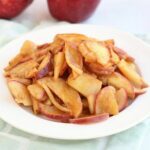 You consistently have such a variety of doable, tasty recipes that appeal to everyone in my family! Thank you so much for sharing with us the results of your hard work in the kitchen.